Getting property on the rent is a difficult process these days. 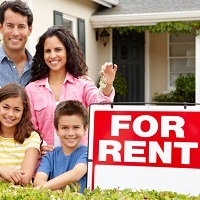 The owners of the properties are reluctant to give them on the rent or lease to any unknown entity. We at our company provide an effective solution to this problem. We take utmost care of the proper verification of the credibility of both the parties and offer them a platform to negotiate the terms. We also get to the specific requirements of each and every client and try to fulfill the same in the specified time frame and at the most reasonable rates as well. Our services lay much emphasis on the transparency of the deal with the esteemed clients in the context of renting property.